There’s a growing sense that the uncertainty caused by Brexit is likely to have a negative impact on the UK economy – and because decisions about marketing expenditure are highly sensitive to how the wider economy is performing this is likely to have a knock-on effect on advertising budgets. But while there’s very little we can do about the economy, we CAN take action to prepare for the potential pressure that a slowdown places on advertising budgets. Here are three ideas about ways to ensure that your business stays ahead of the competition during a slowdown. Evidence shows that maintaining ad spend creates greater profit in the medium term. If you’re interested in finding out more, the IPA paper “Advertising in a downturn: lessons from the past” is available on SlideShare (or WARC, if you have a subscription). 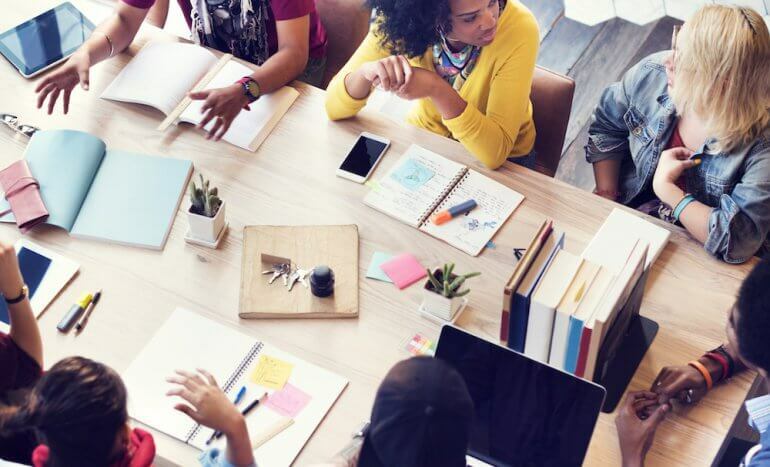 Because the advertising budget is often the largest discretionary element of a company’s expenditure, it is often the first port of call when budget cuts are in the air. 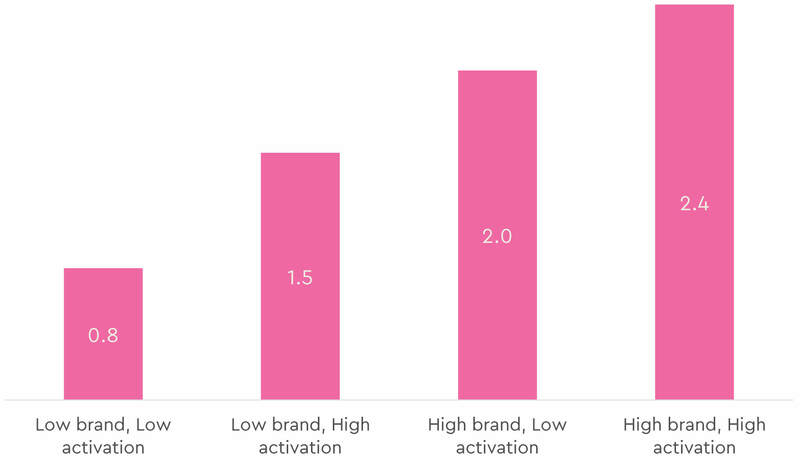 But there’s risk involved in cutting ad spend – brands that stop advertising lose momentum. Over the years, a range of evidence has been collated (including from Millward Brown, PIMS and the IPA Databank) which makes the case for protecting marketing spend. 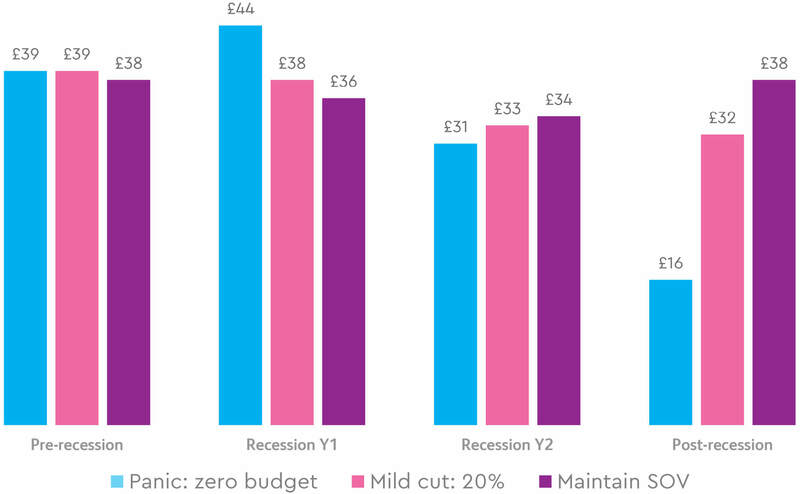 This chart, using modelled IPA data, shows the likely impact of changes to marketing spend on the annual profitability of a brand during and after a recession, based on different budget scenarios. As you can see, for the panic scenario which cuts all ad spend during the recession, the short-term improvement in profitability is rapidly overtaken by a severe decline, becoming acute in the third year when the marketing budget is restored. In the case of a milder budget cut of 20% for two years we see a similar but less severe pattern. However, the brand still emerges from the downturn in a considerably weaker position in terms of profitability. The final scenario, where advertising spend is sustained to maintain share of voice in line with the brand’s market share, shows that the cumulative profits generated over the three-year period greatly exceed both other cases despite a disadvantage in the first year. So wherever possible it makes sound business sense to seek budget efficiencies in fixed costs rather than take the easier route of slashing advertising spend. If you are tasked with achieving the same effects for less investment, re-evaluate your media mix to incorporate more efficient media that can bolster overall campaign effectiveness. Radio has an excellent track record here on boosting a range of metrics including short-term ROI. But what if circumstances dictate that advertising budgets have to be reduced yet you still have daunting sales targets to meet? In this instance, it may be possible to adapt your media mix to make it work more efficiently. Here’s how radio can help. Firstly, and very simply, radio offers advertisers the best value-for-money audience delivery. For every pound you spend on radio you’ll be buying at least twice as much audience as you will in any other medium. Or, for example, up to 15 times as much when compared to online video. That’s a big head start when you’re looking to make your plan work more efficiently. Research highlights how reallocating a proportion of budget from other media into radio can boost overall campaign effectiveness across a range of metrics including ad awareness, brand consideration and brand browsing online. But more importantly for advertisers marketing in a recession, Ebiquity’s recent independent econometric study shows that radio really delivers on the bottom line. This is especially true in sectors which have a greater focus on shorter-term results such as retail, where radio delivers the highest profit ROI of any media, paying back over £3 profit for every £1 spent. Source: Ebiquity ROI campaign database (Feb ’14 – May ’17) Campaign ops: 1954. This ROI efficiency of radio means that it can also have a powerful effect on OVERALL campaign ROI. As this analysis from Holmes and Cook demonstrates, total campaign ROI grows as radio’s share of the budget is increased, peaking at around 20% share where returns are 8.5% higher. It may not sound like a lot but if you’re an advertiser spending around £3m per year that’s an extra £1m added to the bottom line purely as a result of moving money from other media to radio. If you’d like to explore for yourself how shifting budgets between media can help your campaign deliver better return on investment, please check out the Campaign ROI Calculator. Think about how you can drive business today whilst building your brand over time, to help ensure you come out of recession in the healthiest possible state. With proven ability to boost both short and longer term metrics, radio can play an important role here too. Shifting money between media can help offset a reduction in your budget – and help to deliver sales goals. But even with greater focus on short term activation it is still important to keep one eye on the future. Binet and Fields’s latest analysis of the IPA Databank from October 2018 highlights the importance of achieving both brand AND activation effects – campaigns that do both achieve 60% more large business effects than those that just focus on activation. That’s because brand communications create enduring memory structures that increase the base level of demand and reduce price sensitivity. Sales activation triggers these memories and converts them efficiently into immediate sales. But these tasks can pull us in opposite directions: brand building argues for emotional advertising; whereas activation requires rational behavioural prompts. To unlock these broader effects, advertisers can benefit by developing distinctive brand assets such as voice or music, which can then be deployed consistently over time and across multiple media to underpin campaigns promoting different short-term deals. This isn’t just available to big brands – all advertisers can benefit from using this approach. And when advertisers get this balance right, analysis from the IPA Databank shows that adding radio to the mix boosts every kind of advertising effect, from short term activation to longer term brand equity, from immediate sales volume to long term reductions in price sensitivity. A good example of an advertiser playing the short and longer-term game in this way is Plusnet. Initially at least, Plusnet had competitive prices on its side. But its best weapon has been its brand. Building emotional connection through its good honest Yorkshire values helped Plusnet thrive when its products became less competitive. Between 2011 and 2015, for every sale delivered in the short term, the Plusnet campaign has delivered two more over the longer term, through its aggregate brand-building effect. That’s why the longer term view matters.